I read something over on subchat.com about 8 cars called Garret cars that aparently looked exactly like the M1/M3. A major difference though is that they had low level boarding capabilities which was useful because they operated on the OB line(or so I'm told). I was wondering if anyone has anymore info on these cars. Maybe even some pictures? Jarred, these were Gas-Turbine powered cars which were also Dual-Mode, and found their ways on diesel lines for a very brief time. The problem with that was they were break down prone, they found themselves out quickly. And a few made their way onto the Metro North lines before Metro North took over, and were converted to straight electrics.. They were taken out of service shortly thereafter. Some were made by Garret, and some by I believe GE. They were dual mode- 600v DC third rail or gas-turbine. 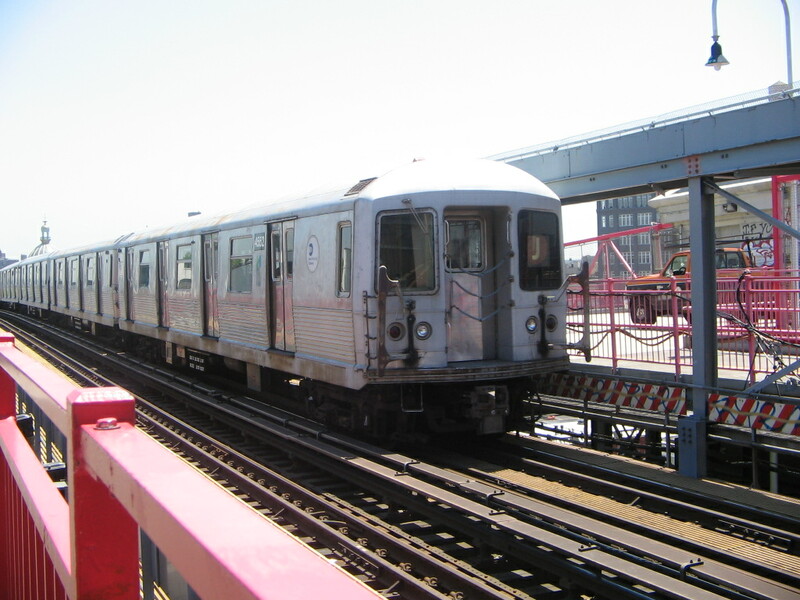 They had a blue stripe, and carried two-tone M logos- lettered "METROPOLITAN." They ran on LIRR and MTA Harlem and Hudson Lines... they carried roll sign destinations for a veritable "world's tour" of commuter lines of the 1970s. They had trap doors for low-level platform boarding. I think at some point these problematic experimental cars were sent back to Budd and turned into straight electrics for MN or LIRR. My recollections are fuzzy, but these cars were well travelled! I hope others will fill in the details! Last edited by Otto Vondrak on Sun Apr 24, 2005 10:57 pm, edited 1 time in total. I know that after they went straight electric, they only went to MN and not to LIRR. Also, someone at subchat.com says they have a roll sign which has destinations including Stewart Airport and JFK! Now that's wishful thinking! These things kind of sound like the DMs, lol. Too bad RMLI never kept 2, or even 1, of them. too bad that the C3's were not deisgned to be compatable with LL and HL platforms. it shure would have saved the LIRR money in not haveinf to build high level platforms east of eletrification. 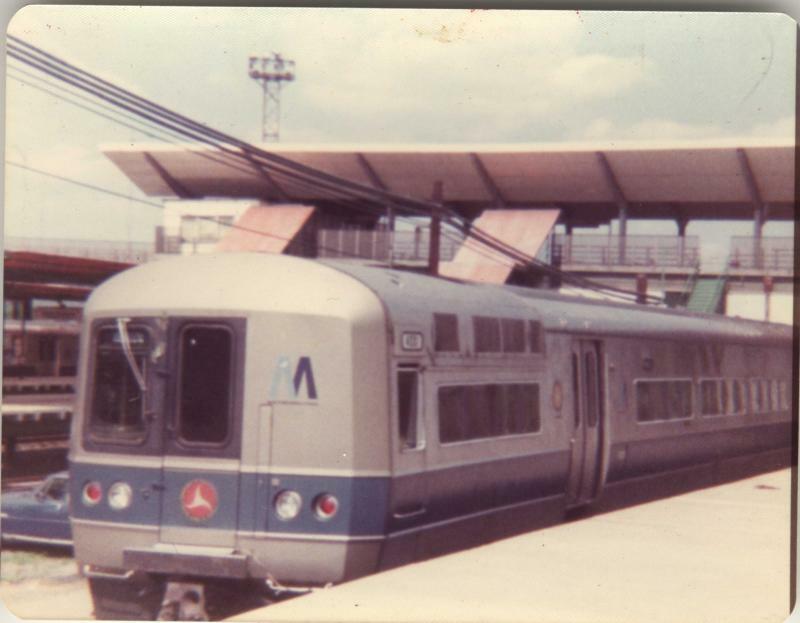 These cars did look like the M1s but had a different configuration along the roofline, probably due to whatever special equipment the unit contained. They also had "DOT" logos on the cars (Dept. of Transportation). I have a shot of #4001, 4002 and two other GTE cars, making up 4-car Oyster Bay train #515 at Mineola in June of 1977. I have individual roster shots of 4 of the cars (4002, 4003, 4004, 4006) taken at Oyster bay in May and July, 1977, each with the DOT logo. I guess that 1977 was the test year. Don't know if they stayed around longer than that. 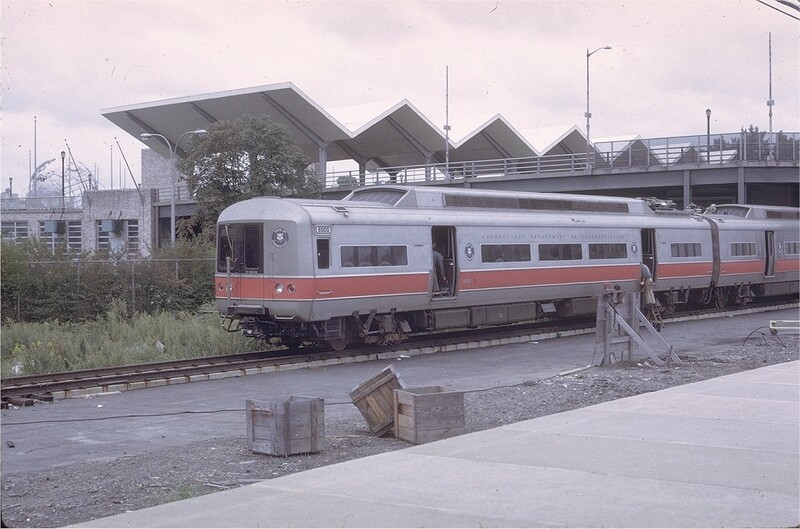 Before those cars came, the LIRR had another experimental turbine car they kept in a shed on the old wye in Ronkonkoma. That was also a DOT funded project that, I believe was made from a converted Budd coach in the early 1970's. Awesome pics! Thanks for posting 'em! I read over at subchat.com that ALL 8 cars were scrapped.
" know that after they went straight electric, they only went to MN and not to LIRR. Also, someone at subchat.com says they have a roll sign which has destinations including Stewart Airport and JFK! Now that's wishful thinking! " Add to this was the destination of ALBANY. And not Albany, Georgia either ! The shot of the M2 was taken just outside of Shea Stadium. Budd had set up a test track. I don't know the real details though. The shot of the Budd GT2 at the Ronkonkoma wye was the 2nd experimental car. The first was the GT1 back in 1966. It looked very similar to the GT2. It had orange ends in lieu of the MTA yellow. In 1969, that pre-fabricated metal shed was constructed. There was even a large BUDD sign out front by the street, telling about the experimental car. I remember they had an unusual horn. I lived in Holtsville, about a mile away from the tracks and could always tell it was running when it blew for the Blue Point Road crossing.